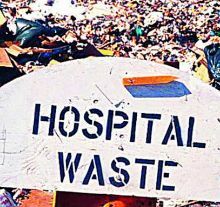 New Delhi, Feb 8 : With an increase in the number of healthcare facilities, Delhi, Gurugram, Faridabad, Noida and Ghaziabad collectively generate over 5,900 tonnes of medical waste annually, a survey showed here on Thursday. An Assocham survey pointed out that most of the medical trash remains untreated and dumped with municipal waste and thus causes a serious health and environmental hazard. “According to the estimates, Delhi and NCR (national capital region) alone annually generates bio-medical waste of about 5,900 tonnes, in which the share of Delhi is roughly around 2,200 tonnes,” said the survey. 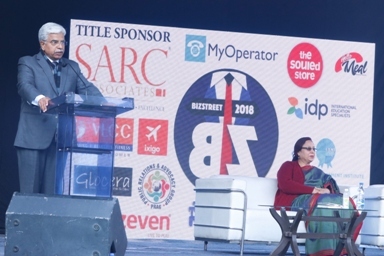 “NCR consisting of Noida/Greater Noida creates 1,200 tonnes of bio-medical waste and Gurugram produces 1,100 tonnes of such waste, while Ghaziabad’s share is estimated at around 800 tonnes,” it said. The survey revealed that Faridabad generates 600 tonnes of bio-waste. “However, lack of proper disposal of hospital trash can pose serious risks to people’s health and environment. The waste disposal should be done as per policy guidelines framed by the state government,” said Assocham Secretary General D. S. Rawat. 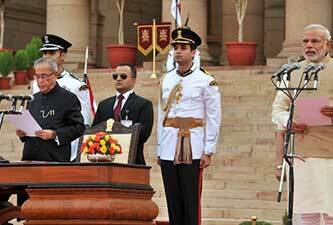 “As per findings, the capital generates nearly 200 tonnes of medical trash per day in the past 10 years,” he added. The survey added that about 65 per cent of the hospital waste is non-hazardous. However, mixing of the hazardous trash with general waste leads to contamination, increasing the risk of infections and diseases to anyone coming in contact with such items. “The non-treated hospital waste always causes public health risks, the potential health effects of which include AIDS (acquired immune deficiency syndrome), Hepatitis B and C, gastroenteric infections, respiratory infections, blood stream infections, skin infections, effects of radioactive substances and intoxication,” it said. Assocham said public expenses on setting up of healthcare facilities in future would grow as government will have to substantially increase healthcare GDP (gross domestic product) ratio.